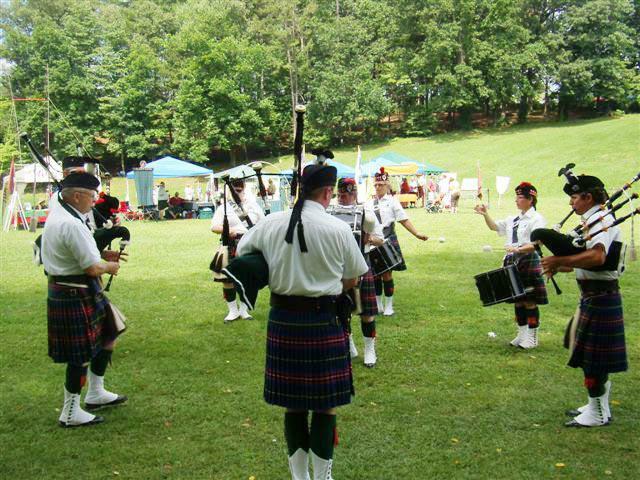 We had our calendars marked far in advance for the Blairsville Scottish Festival & Highland Games for this weekend! 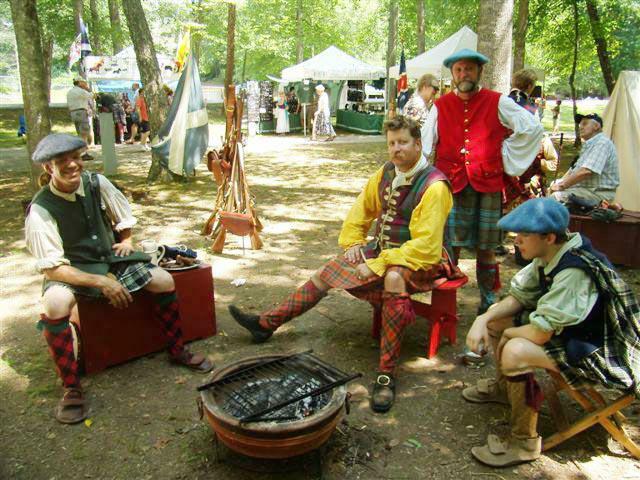 Each year the Scottish Festival is started off on Friday with the Kilted Golf Classic at Butternut Creek Golf Course and the Ceilidh Dinner. Saturday and Sunday follow and are filled with the sounds of bagpipes, drums and the colorful display of flags and tartans throughout the lovely setting along the creek at Meeks Park in Blairsville, GA.
Highland Games…The Caber Toss: A traditional Scottish athletic event where a caber, a large wooden pole similar to a telephone pole, which the athletes have to hoist up and hold from the bottom while walking briskly forward before flinging it so that it turns completely end over end. It is said to have developed from the need to toss logs across narrow chasms to cross them. Given cabers tend to weigh about 150 pounds and be about 18 feet long, just accomplishing that is no mean feat. But this was just one of many highland games like the Sheaf Toss, Heavy Hammer and Open Stone. And of course there was plenty of great music, dancing, food, vendors, reenactments, demonstrations and so much history, stories and information shared by all the wonderful Clans! We had a great day at the Blairsville Scottish Festival & Highland Games and are already looking forward to going again next year. As always, a huge thank you to the Blairsville, GA-Union County Chamber of Commerce for this event.